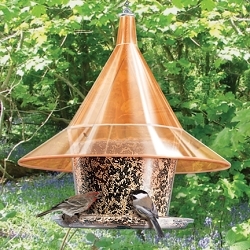 Protection from the Elements, Squirrels and Large Birds! 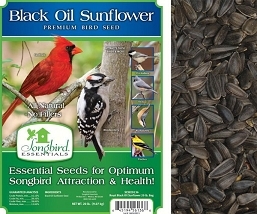 Keep squirrels and large birds from taking off with seeds meant for your little winged friends! 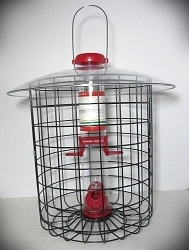 Droll Yankees Squirrel Proof Caged Feeders provide the best of both worlds, protection from unwanted creatures like squirrels and larger birds, and protection from the elements. 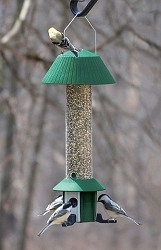 Small songbirds easily fly in for safe feeding. 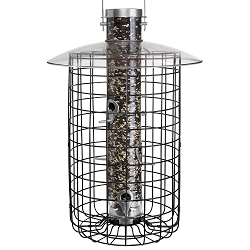 The Domed Cage Sunflower/Mixed Seed Feeder combines a very popular tube style feeder with a 10.5-inch diameter black wire cage that allows songbirds easy clearance through the 1.5-inch openings. 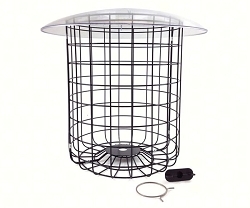 Open cage bottom allows hulls to fall through. 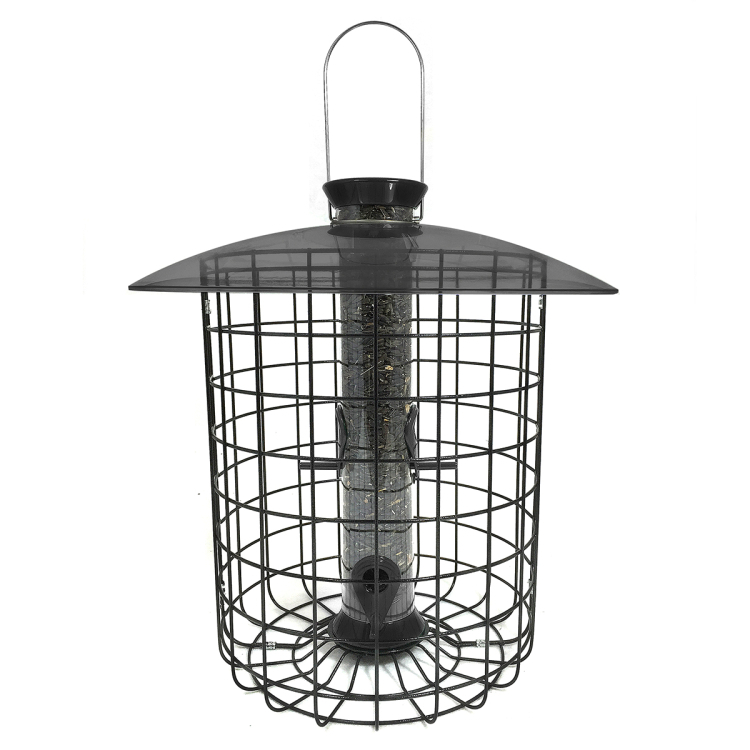 Songbirds are easily able to enter the cage to reach the green 15" tubular bird feeder inside, but large birds and gray squirrels cannot fit through the small openings. 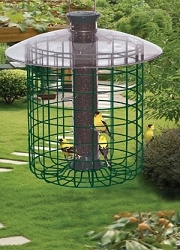 The clear colored shelter dome acts as protection against weather elements and keeps the songbirds visible. 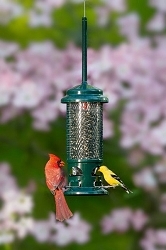 The tube is easy to remove for cleaning, to maintain the health of the birds. 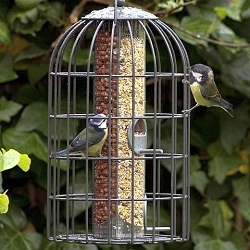 The included spring clamp holds the dome securely against the cage. 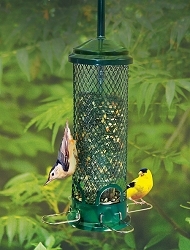 This feeder measures 15-inches in length with a diameter of 10.5-inches. 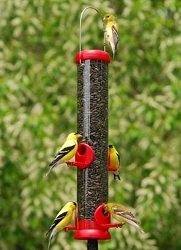 Threaded base allows the feeder to be pole mounted. 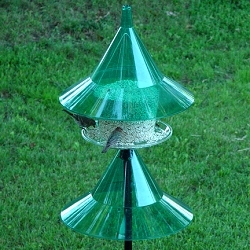 Also available in a Green Bird Feeder version – Model SDC. Lifetime Warranty Against Squirrel Damage. Made in the USA! 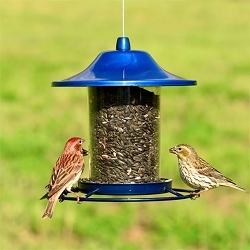 Droll Yankees Bird Lovers Red Seed Feeder 15"